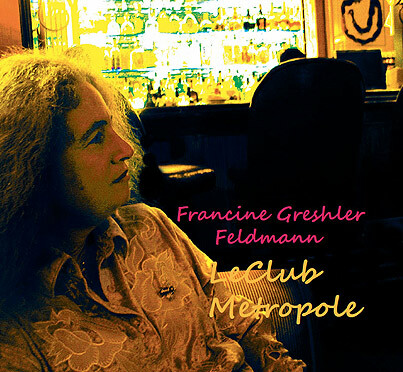 An outstanding collection of 12 American Standards, performed by Francine Greshler Feldmann, accompanied by and all-star cast including: George Friedenthal, David West, Jon Crosse, Tom Lackner, Teka, and Lorenzo Martinez. This is the first time I decided to make an album that was not my new songs or compositions. I, like millions of others, adore the classic American standards and have always wanted to add my contribution to the mix. Here, I have chosen some of my all time favorites. There are, of course, hundreds more, but I have always been dying to do "My One And Only Love", "How Insensitive" and "Here's That Rainy Day". I hesitated to call this a jazz album because my interest in this music seems to be the exact opposite of most jazz musicians, which is to make these melodies your own, change chords, and create a very personalized rendition. My way is to sing them straight, simplify the chords, and just let the song shine by itself. This was made very simple for me by being lucky enough to work with, (can't think of a big enough word,) hugely fabulous musicians. 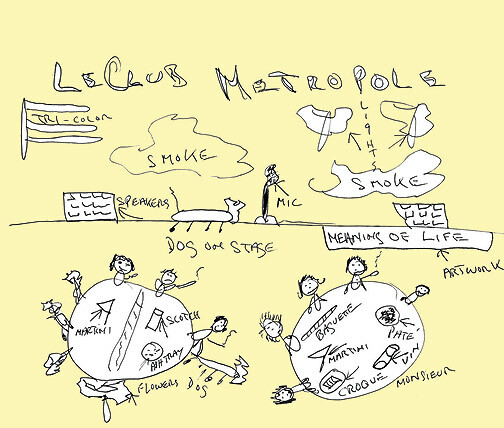 The idea of LeClub Metropole was just a fantasy of me singing in a French nightclub sometime between 1920 and 1960. My drawings of this fantasy club were not to be included, but everybody loved them so much that I gave in. Maybe I was really at this place. Who knows?